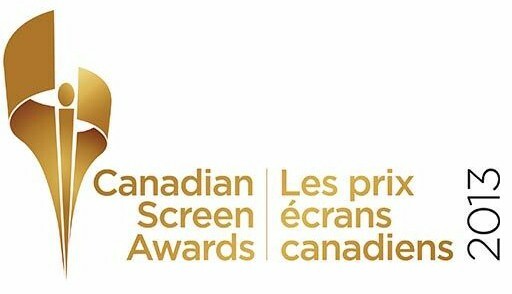 CBC Television and the Academy of Canadian Cinema & Television (Academy) are excited to announce eight new additions to the talented presenters list for the upcoming CANADIAN SCREEN AWARDS airing Sunday, March 3rd at 8 p.m. (8:30 NT) on CBC Television, hosted by the hilarious Martin Short. Adding more Canadian stars to the mix are Stephen Amell (Arrow), Adam Beach (Arctic Air ), Rick Mercer (Rick Mercer Report), Lisa Ray (Top Chef Canada) and Laura Vandervoort (Smallville). Also joining the presenting lineup are cast members from The Real Housewives of Vancouver: Jody Claman, Ronnie Negus and Mary Zilba. They are set to join the previously announced Jay Baruchel (Goon), Kim Coates (Goon), Enrico Colantoni (Flashpoint), James Cromwell (Still Mine), Arlene Dickinson (Dragons' Den), Erica Durance (Saving Hope), Marc-André Grondin (Goon), Allan Hawco (Republic of Doyle), Catherine O'Hara (Frankenweenie), Brad Smith (The Bachelor Canada) and Meg Tilly (Bomb Girls). Additional presenters will be announced next week. Don't miss the CANADIAN SCREEN AWARDS arrivals show beginning at 8 p.m. (8:30 p.m. NT) with funnyman Shaun Majumder, who will be on the red carpet as Canadians biggest and brightest stars arrive at the Sony Centre for the Performing Arts in Toronto. For even more excitement and live coverage, visit CBC Live from 4:30 p.m. to 6 p.m. ET where Eli Glasner, CBC News Network Entertainment Reporter, and Naomi Snieckus, Mr. D star, co-host the CBC Live red carpet show. Be part of the conversation on Twitter via @CBCLive and @Academy_NET using the hashtag #CdnScreenAwards. For a full list of CANADIAN SCREEN AWARDS nominees, please visit http://www.academy.ca/. For additional images of presenters, please visit the CBC Media Centre at cbc.ca/mediacentre." What is Laura Vandervoort doing in this period?